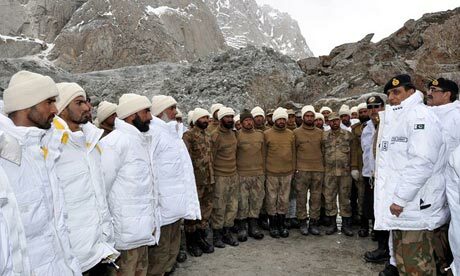 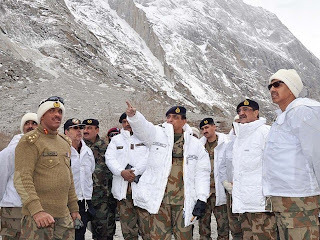 Pakistani Army Chief General Ashraf Pervez Kayani yesterday visited Siachen to see the rescue operation that is continuing from last two days to find out the 120 Pakistani soldiers that where buried in snow On Siachen Glacier. 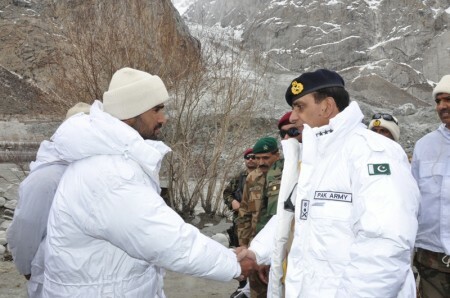 Rescue Operation is continuing from last 72 hours but no soldier has been found yet. 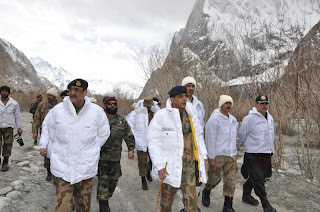 following are photos of General Kayani Visit to Siachen.